A great place to relax. 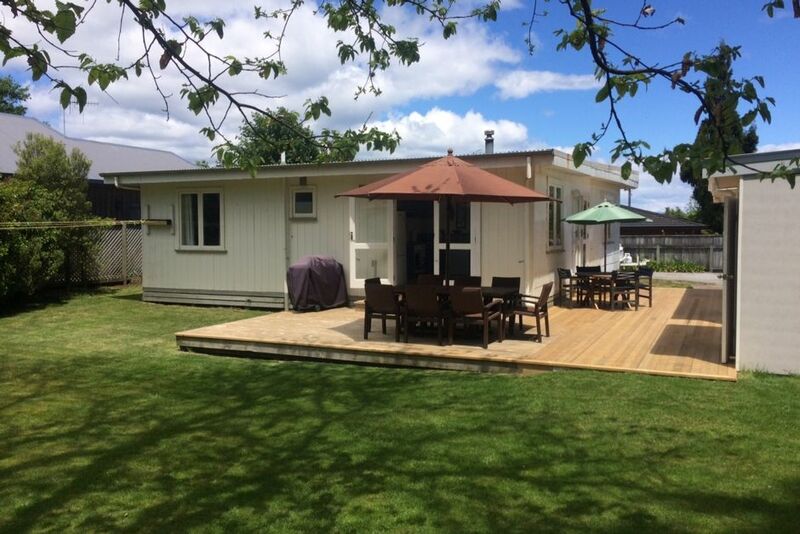 Centrally located to all the activities Taupo has to offer. Feel at home in this old, comfortable, renovated Bach. Wood burner for the chilly Taupo nights. Modern kitchen opening onto the rear deck for great entertaining. Enjoy the privacy of the back yard, relaxing under the shade of an old chestnut tree while the kids play or run around on the reserve below. No Wi-Fi but there are board games and playing cards. Great family time with no kids with their faces glued to a screen!! Families and or couples preferred. No parties or extra guests without prior approval. Optional - $80.00 per stay Includes towels. This was a lovely place to stay, the whole family enjoyed our stay. Clean, well presented, good facilities. Good instructions for guests and close enough to the centre and other attractions. The kids enjoyed the rope swing and this property backs onto a nice green area for playing. Thanks very much, we would highly recommend this to others. Fabulous bach, just as described. Loved our stay. Fantastic property. Good proximity to town. Well kept and AMAZING swing in the back yard. We would absolutely recommend this property to others! Had everything we needed - including a wonderful swing for the toddler. Hosts were fantastic and checked in to make sure we had arrived etc. Thanks for a great stay. Great place to stay. Thanks for letting us use the sleepout as well to accommodate our large group! House was nice and warm! Great place in quiet location. Great place in quiet location. Everything you need at the house and it is nice and clean. Fire good for cold evenings. Full kitchen which makes life easy.